Is a child in your life celebrating a birthday anytime soon? 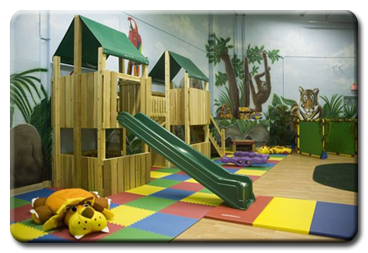 Well if you live within driving distance of Mississauga, Canada you just might want to throw your child a fairy themed birthday party at a place called Alpha’s Discovery Club!! This company specializes in themed children’s birthday parties, and fairy is on the menu. A beautiful fairy and her assistant will lead the children in various fairy-theme activities such as storytelling, dress-up, dancing and fairy games. We provide a trunk with beautiful fairy costumes and accessories for your guests to wear during the party. We sprinkle fairy dust (glitter) on the guests and apply some light makeup. Children will create a fairy theme craft such as jewelery. All craft supplies are included. The fairy and her assistant will organize and facilitate theme party games and a prize for each child. The fairy will lead the group in singing Happy Birthday to the birthday child and present her with a special birthday gift. There is also the ‘Fairy- Pirate Adventure’ which is more action based and suitable for both boys and girls. I’ve actually been to this place for a birthday party. The one I went to was a princess party, but I’m sure the fairy theme is just as amazing as what I saw when I went there. This organization does more than just theme some napkins and decorate the room accordingly, the party is actually an adventure for the children invited. It isn’t just a party, it’s a program. There is an objective, or a goal the children must accomplish, and they get to make crafts and get dressed up on the way to achieving that goal. Well, needless to say I was really impressed. If you are able to go there for your child’s party, do it.